Social and business networking is where a group of like-minded people come together to recognize, create or act upon business and funding opportunities. Once of the many reasons why entrepreneurs most often choose business and social networking for pushing their business forward is cost-effectiveness, it involves more of personal commitment than company money. Business and social networking can be done in a local community or in a larger scale through the internet. Business and social networking via the internet is becoming more and more popular everyday due to its ability to connect with people from all over the globe. Online business and social networking is becoming increasing popular among small business owners, job seekers, executives and other professionals. They are many sophisticated networking sites that can help you find investors for your small business. 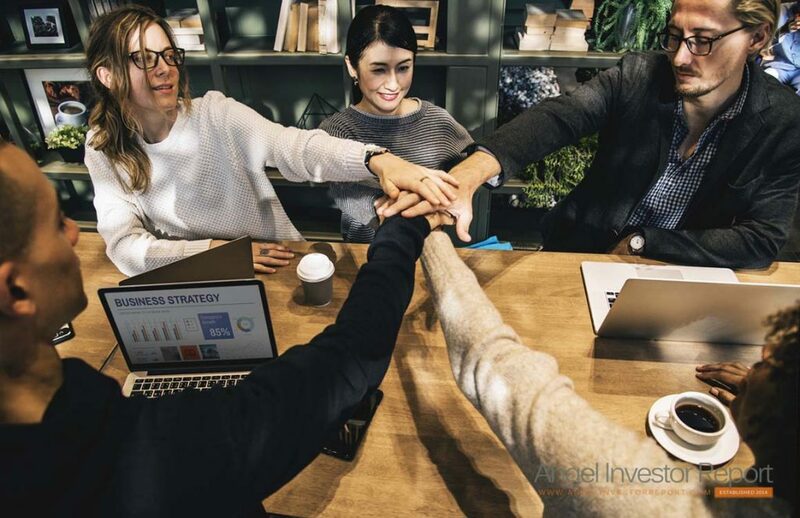 Although online meetings cannot be compared with face-to-face meetings with potential investors, it can connect you to people you might have not met otherwise, thus increasing your chance of finding an investor. You may be an expert in your field, but good advice from existing venture capitalist, angel investors and successful investor always comes handy when it comes to financing. Network sites allow you to tap a large network of knowledgeable people who are experts. Answer section in any network site can be used to get criticism or reviews of your executive summary, you can directly ask a Venture capitalist or an angel investor to consider your venture, or ask other entrepreneurs on the network about their experience with a particular venture capitalist or angel investor. When looking for funding, one of the top things investors look for is a strong management team. No matter how great your idea is, but execution is what will define success. If the management is lacking in any skills, social networking sites can help you find them. Use the answers section in the networking site to post a question to either your network or the general community about the best firms or investors to consider. Look up potential investors and read their profiles. Do an advanced search and find out how your network can connect you with the right investor. If you have a second or third degree connection to a potential investor, use introduction section to ask your contacts to introduce you. You can use the business and social networking site to prepare before meeting any potential investor. Here are the top social and business networks for entrepreneurs. Each of them help entrepreneurs succeed by providing them with guidance, tools and resources they need to setup their company and gain wide exposure. Entrepreneur Connect: Just like facebook and LinkedIn there are various groups you can create or join here. Main feature of this site is that you will be able to start your own blog and can have it appear in the main page. Unlike most social networks this one frowns on too much self promotion and encourages knowledge and idea sharing. PartnerUp: This social network is dedicated to people who are looking for people and resources for business opportunities. Business partners, co-founders, executives and board member will get the most out of this one. You can ask for offer advice and find service providers here. StartupNation: This site features articles, forums, blogs, on-demand seminars, podcasts and more to prepare entrepreneurs for the challenge and acquire resources. The site also offers a series of competitions such as dorm-based 20 contests, elevator pitch competition. If you are a budding entrepreneur this site is definitely not worth a miss. LinkedIn: This is easily the most popular social networking site among most entrepreneurs, due to the sheer usefulness it has for everyone, person searching a job, trying to network with like minded people or building a company. Branding oneself properly is the key to find the right investors or business partners here. Biznik: This community comprises of freelancers, CEO’s and the self-employed. Like other networks this is the place to share ideas and get valuable suggestions. Biznik editors actually review all profiles to ensure compliance of authentic information. There are 3 levels of membership with varying exposure and fees. Perfect Business: Want to meet various experts, entrepreneurs and investors from various industries? then Perfect Business is a perfect social network for you. There is video center, a business plan builder and an investor center. Most resources are available for creating or regenerating your business. Others: Other popular social and business networking sites you could explore are Go Big Network, Cofoundr, The Funded and Young Entrepreneur. Face-to-face business networking: Many professionals prefer face to face networking over online networking because the potential for higher quality of relationship is possible. People usually tend to prefer actually knowing and meeting people they intend to do business with. General business networking: “Schmoozing” or “rubbing elbows” are expressions used by professional to introduce and meet one another and build a business relationship. Pay good attention to your online profile, as would you with your resume. Ask for testimonials of your work from other on the network. Collect contacts. The more quality contacts you have, the better. Mind your manner. Make sure your profiles does not contain anything embarrassing. Once you find what you need, do not ignore your network. Maybe you can start giving expert advice to new members. Never know when you may need contacts again.